Dwayne Washington, who recently had minor knee surgery, had seven total touchdowns for the Huskies this season. 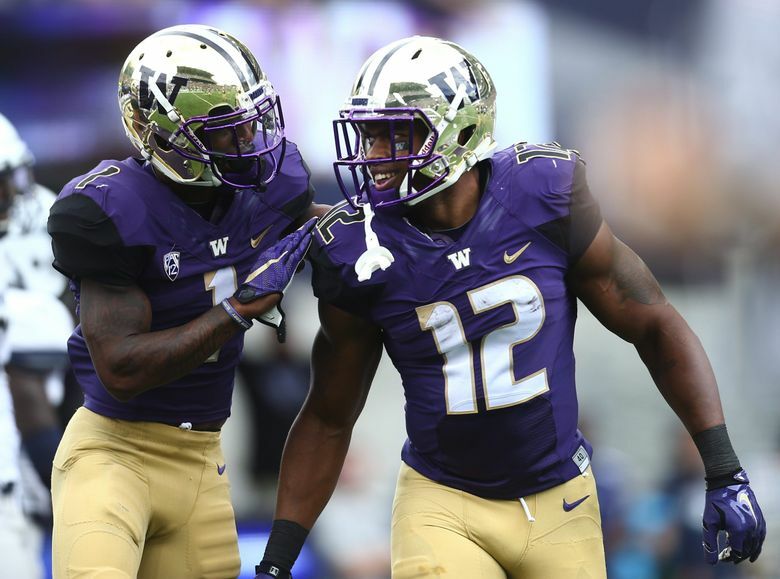 Washington junior running back Dwayne Washington will forgo his senior season and plans to enter the NFL draft, UW coach Chris Petersen said after the Huskies’ victory over Southern Miss in the Heart of Dallas Bowl. “He’s decided to move on to the NFL … and, hey, we support him,” Petersen said. Washington did not play in UW’s final four games because of a knee injury on which he needed minor surgery, Petersen said. Washington, a 6-foot-2, 220-pound native of Lakewood, Calif., started six games for UW this season and finished second as UW’s second-leading rusher with 282 yards and his seven total touchdowns were also second-most on the team. He became a father in October when his daughter was born.